The flagship of Starfleet, U.S.S. Enterprise NCC-1701 embarked on its historic five-year mission under Captain James T. Kirk in 2265. The ship and crew introduced Star Trek™ viewers to the final frontier with unparalleled adventure, life on new worlds and unimaginable technologies. 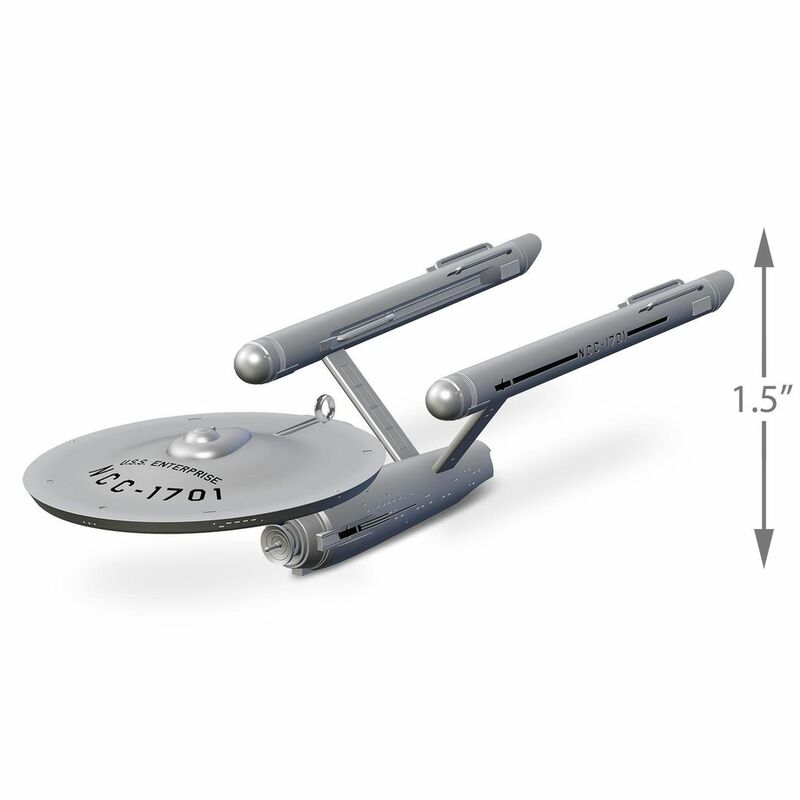 An homage to the classic series and its legacy of more than 50 years, this premium Christmas tree ornament is rendered in metal, an essential addition to any Star Trek™ collection. This metal Christmas tree ornament comes pre-packaged in a box for easy gift giving, preservation and storage. Dated 2018 in copyright. Metal Christmas tree ornament is lead-free and measures 2.56" W x 1.5" H x 5.81” D.